This unique pitcher does it all. You can mix in it, use it as a pitcher, then twist the top and use it for storage. 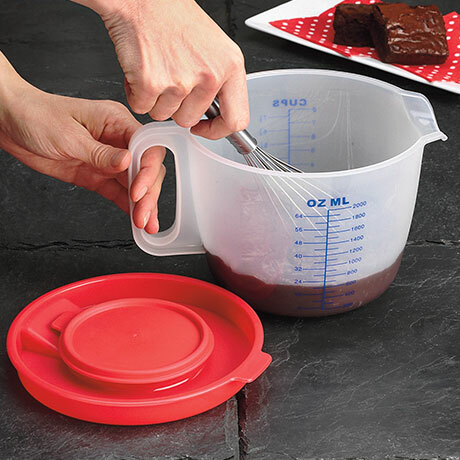 The specially designed top also has a removable center cover which reveals a no splatter ring to prevent any mess while mixing. Top shelf dishwasher safe.